I themed this after onomatopoeia. 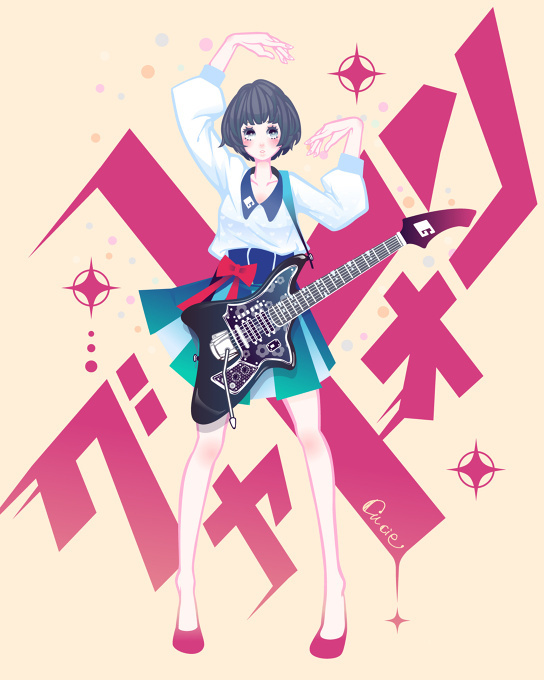 The words in the background are onomatopoeia for the Japanese electric guitar brand Guyatone. This was a participation work in the Pixiv-held flash mob event Hecatoncheir4.